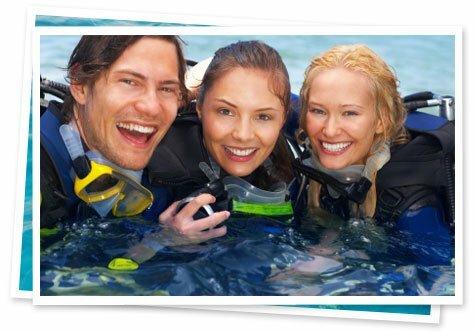 Find out how easy it is to experience the adventure of Scuba Diving! In only two weekends you can be a certified diver, and experience a diving adventure in an exotic location around the world. Give us a call today at 303.469.4477 to start your adventure! Welcome to the PADI Open Water course. Diver training courses are meant to be fun, but like any form of learning, you will need to invest some time and effort reading and studying. PADI programs are performance based. You proceed as you demonstrate mastery of the course skills. This allows you to work at a pace that is comfortable for you. Typically class and pool work are completed in one weekend, followed by 4 open water dives over another weekend. See our Open Water Schedule here- schedule. PADI Open Water Crew-Pak (log book, manual and student file). Please download the forms below * and read them prior to signing up for class. The first form will provide details on the Basic Open Water Classroom & Pool. The second form is the required Medical form. Please fill in all of the blanks with either a YES or NO. If you answer NO to all of the questions, no further action is required. If you answer YES to any of the questions it is required that you get the second page of the document signed off by your doctor prior to getting into the pool.